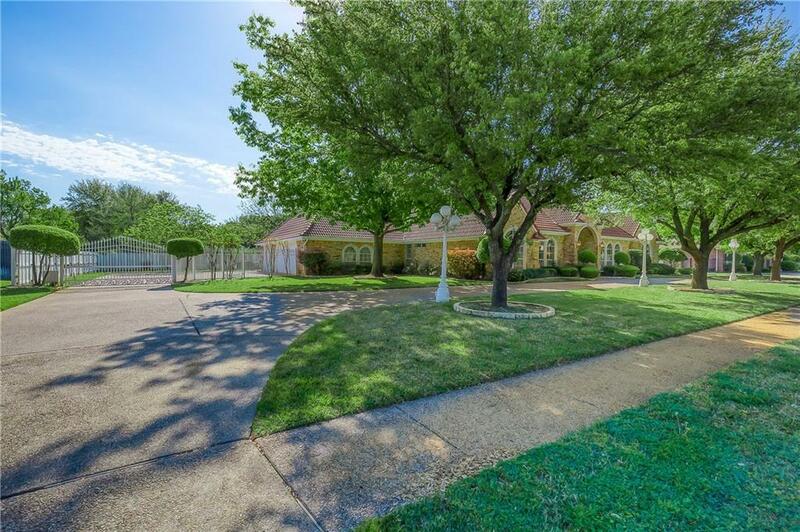 A Rare Dalworthington Gardens Custom Built 1-Story home in Enchanted Gardens. Impressive Curb Appeal with Canopy of Trees Lining the Circle Drive. Stone Cased Windows and Upgraded Durable Clay Tile Roof display the quality of Customization. Gourmet Kitchen Granite Countertops, Stainless Steel Appliances, Dual Ovens, a Built-in Side-by-Side Refrigerator, Large Pantry. 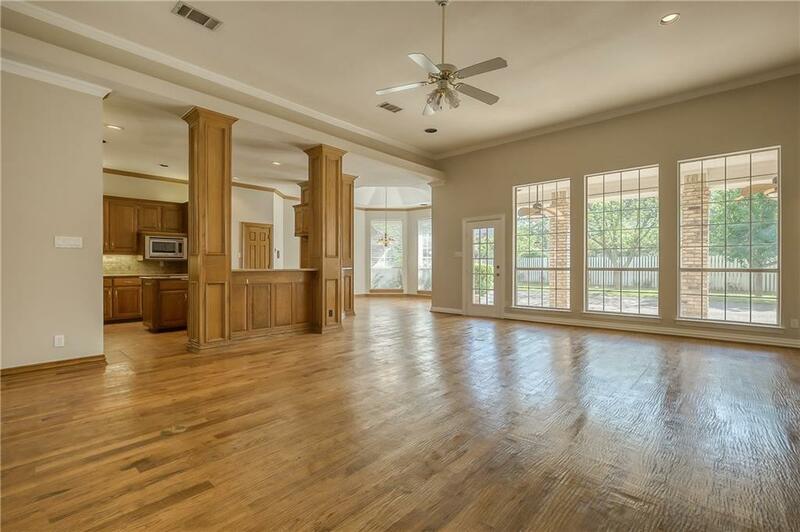 Authentic Hand-scraped Hardwood floors in Living Room, Breakfast Nook, and Master Bedroom. 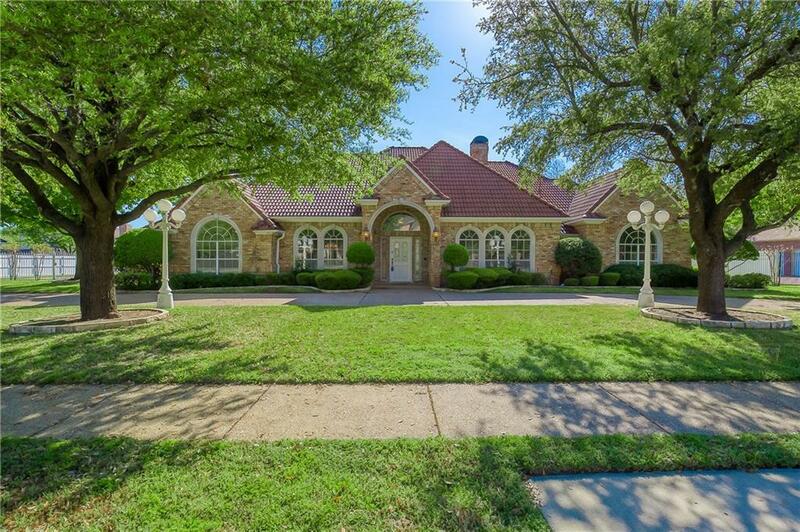 Massive Master Bedroom has Fireplace an Updated Bathroom with Granite, Jacuzzi Tub, and a HUGE Walk-in Closet. 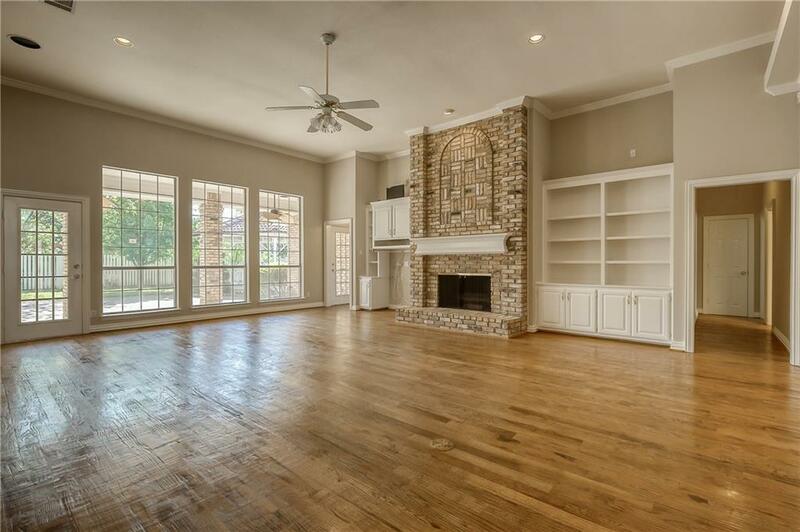 Built-in Cabinets, Bookshelves, Tray Ceilings, Vaulted Ceilings, Crown Molding throughout the house. Pool Sized Back Yard. Oversized 3-car Garage.